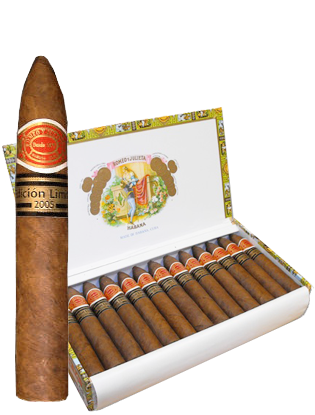 Box of 25 – 5 x 50 Romeo y Julieta – Petit Pyramid Limited Edition 2005 Such a novel size deserves a great praise. It was kind of expected after the success of the in 2004. 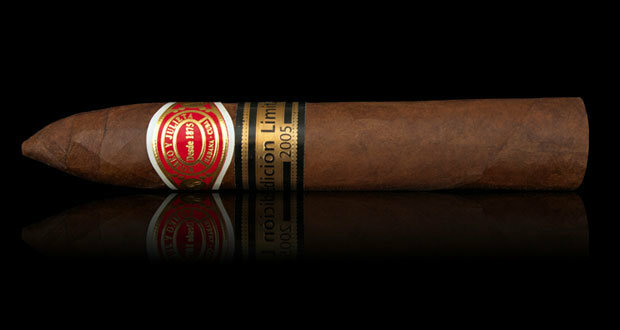 Very aromatic and well balanced, loyal to Romeo and Julieta brand. These little Torpedo-shaped cigars could become one of the most fashionable smoke of the year.